Our new pop up book PIRATOMANIA is now published by Editions Milan. 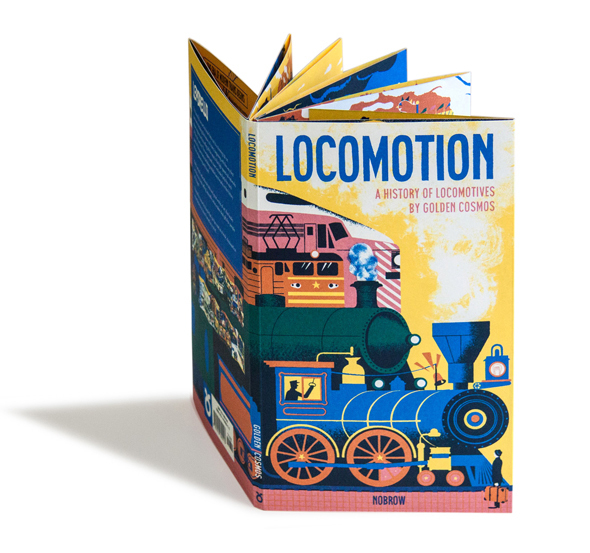 Our new leporello LOCOMOTION — an illustrated factual guide to the history of train engineering and travel — is published by Nobrow. You can read about the progress of the making and look behind the scenes of GOLDEN COSMOS on the Nobrow Blog. Here you can read about our work and how we came to be GOLDEN COSMOS in an interview by Madeleine Morley for AIGA — the professional association for design. "Silver Nail" Award for "Die Ferne ist ein schöner Ort"
Daniel Dolz' "Die Ferne ist ein schöner Ort" was awarded with the "Silver Nail" by the German Art Directors Club. Read about how we came to be illustrators, our background, our life and work in an interview for American Illustration "Profiles". Frankfurters! From 25. March till 16. April the Büchergilde Buchhandlung & Galerie shows Golden Cosmos screenprints and books as part of an exhibition about artistic technique of screen printing. 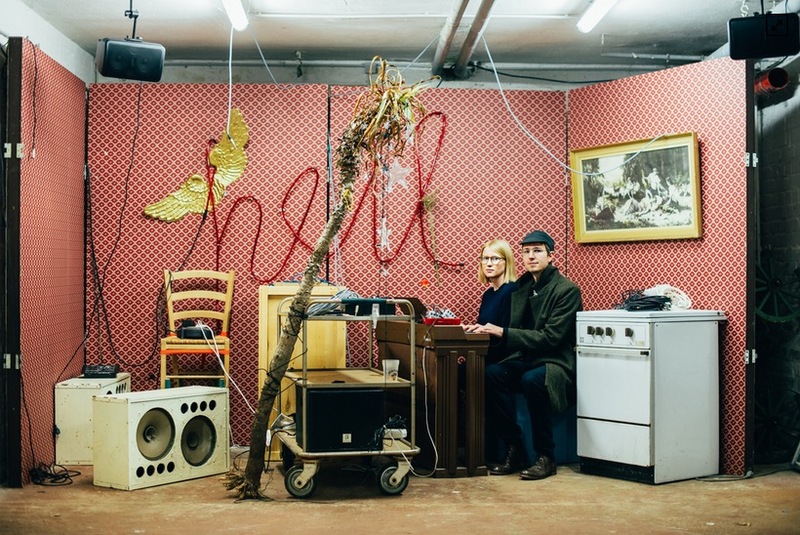 The exhibition includes works by Katrin Stangl, Hans Ticha, Henning Wagenbreth, Katja Spitzer and Franziska Schaum among others. 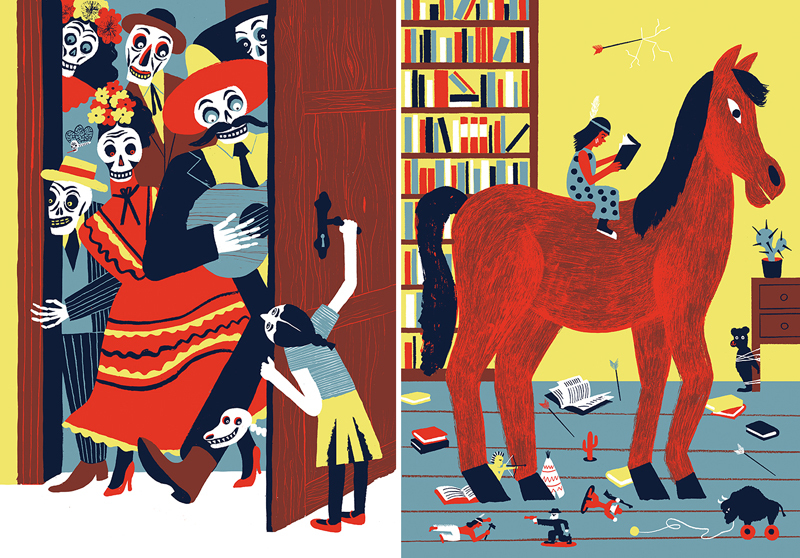 Two works of us are selected to be shown in the Society Of Illustrators 57 exhibition. 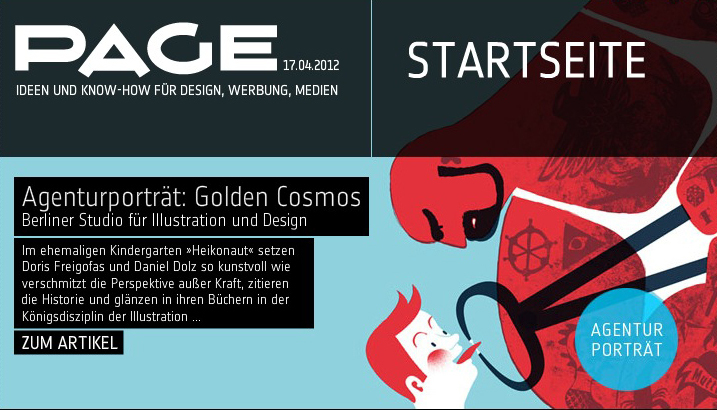 and two illustrations from the book "Die Ferne ist ein schöner Ort" will be shown in the exhibition 6 — 28th February. What's in our pencil case? As part of October’s “Back To School” series on It's Nice That we were asked to tell about our favourite tool in our Pencil Case. The new book "Die Ferne ist ein schöner Ort" by Daniel Dolz is finished. It is screenprinted with 4 colors in a limited edition of 45 books. The story is about a boy with his binoculars. He wears them wherever he goes and from a save distance watches intimate details of his fellow students. Every week It's Nice That invite someone from the creative industries to share a rundown of their five favourite books in the whole ruddy world, which have inspired, excited or educated them. Have a look at our selection (it was really hard to chose!). Our latest work "Weltfeiertage 2014" is published by Collection Büchergilde. 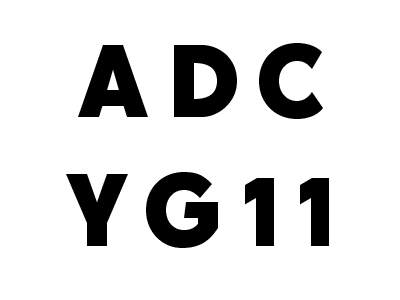 The Art Directors Club has just anounced the winners for this year's Young Guns 11 Competition and we are among them! 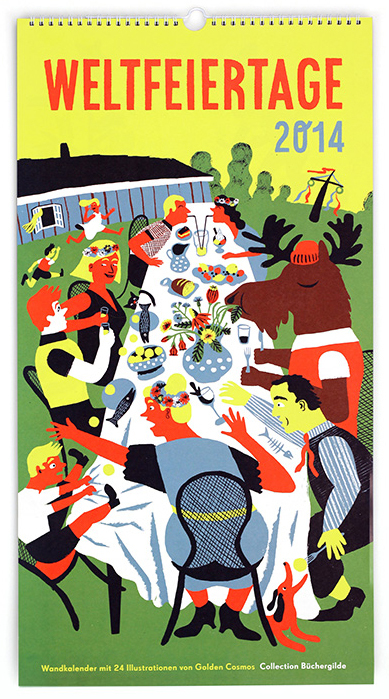 The 12 Hunters is available as a limited edition screenprint at the Frankfurter Grafikbrief and the Büchergilde Artclub. Size 310×780 mm, edition of 40, signed and numbered. After more than two years, the 2nd edition of "Von einem, der auszog das Fürchten zu lernen" is finally off the press! The unchanged 2nd edition of 100 copies is signed and numbered and includes a risoprint of the original text of the Grimm's fairytale. Size 37×24 cm, 22 pages, screenprinted with 3 colors. 35 copies also include an additional screenprint which is signed and numbered. 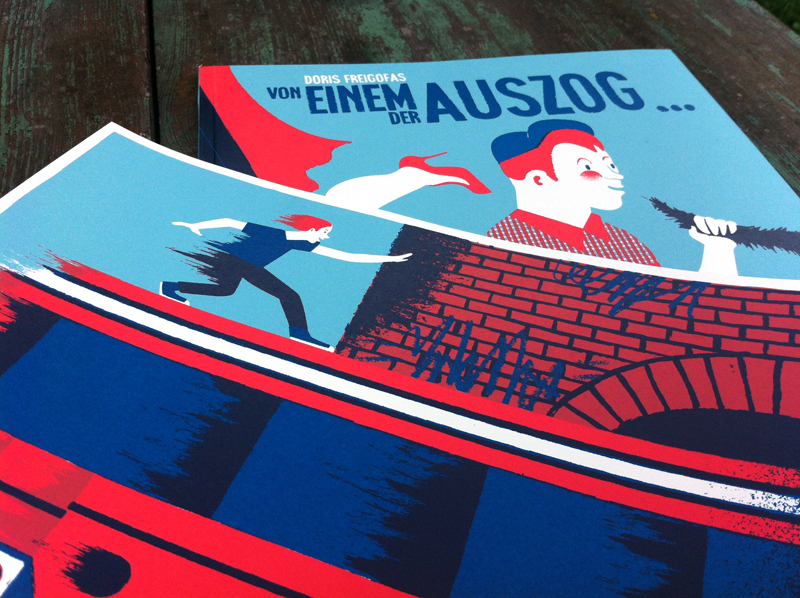 You can buy the book in the Büchergilde Artclub or the Frankfurter Grafikbrief. 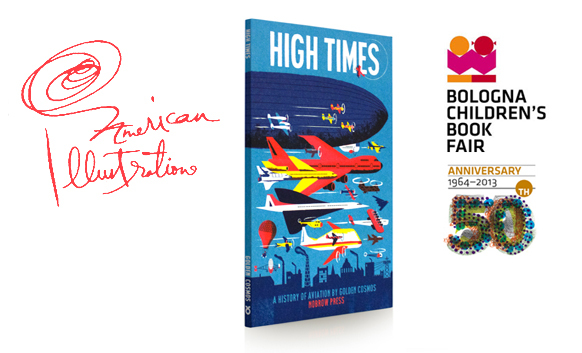 "High Times" was among the selected books that were shown in the 50th Bologna Children's Book Fair Exhibition in march and it will be printed in the American Illustration 32 annual. 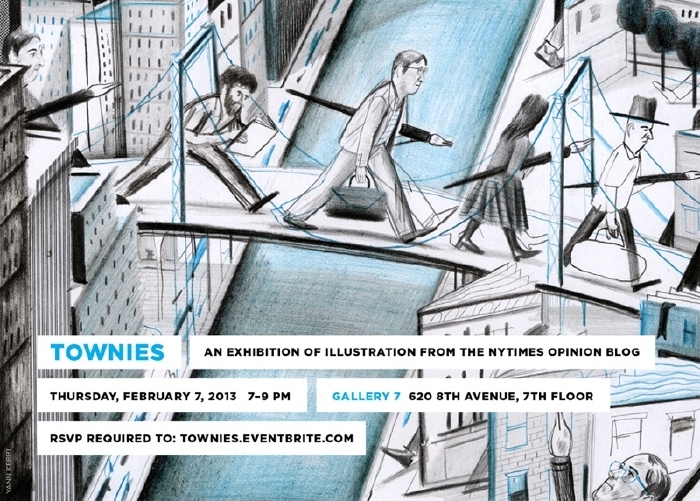 The New York Times’s Gallery 7 has a group exhibition of illustration from the Op-​Ed blog Townies on Feb 7, 2013. Our new Berlin Poster is now available in the Human Empire Shop. Our newest book "High Times" is finished! The concertina book folds out to a 139 cm panorama detailing humanity's quest to conquer the skies and is published by Nobrow Press. You can buy it here. More images coming soon. Our illustrations for "Sonntagsheiligung in Deutschland" and "Peter Schlemihls Wundersame Geschichte" have been selected to appear in the American illustration 31 annual book. Buy "Sonntagsheiligung in Deutschland" here. Buy "Peter Schlemihls Wundersame Geschichte" here. Our work is featured in an article about ‘Humorous Design’ in the 60th issue of Korean design magazine G colon. 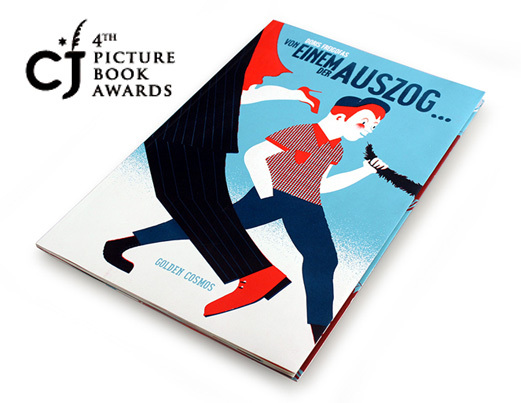 "Peter Schlemihls Wundersame Geschichte" is a merit winner which will be displayed in the 3x3 Illustration ProShow Annual. You can buy the book here. We're featured on PAGE online. You can read the interview here. Our new illustrated book "Sonntagsheiligung in Deutschland" by Mark Twain is now published by Edition Büchergilde. It's part of the "Petits Fours" series which consists of four booklets, individually packaged in a slipcase, 9 x 12cm, 24 pages, fully illustrated by different artists. You can buy it here. For the 200th issue of étapes magazine we have answered a few questions about the future of graphic design. "Von einem, der auszog das Fürchten zu lernen" is featured in the new issue of GRAPHIC magazine about best book designs from all over the world.